1. 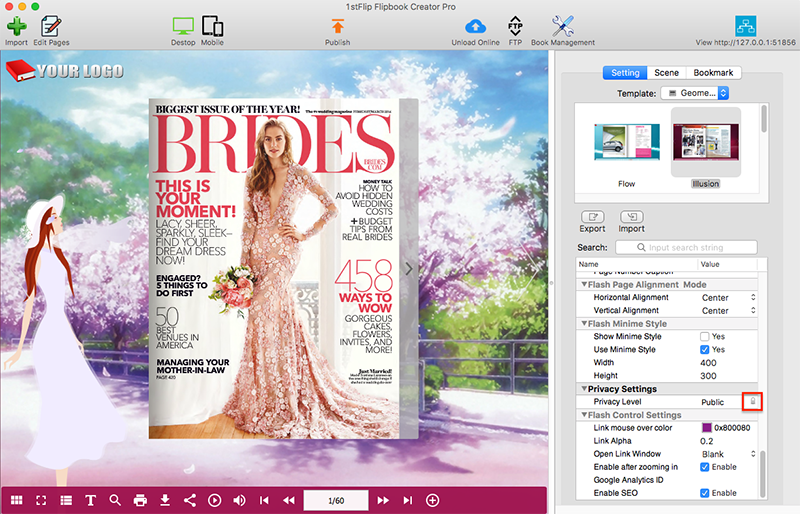 1stFlip Flipbook Creator Standard/Pro for Mac/Windows allows you to create flipbook in Minime Style: hide toolbar and all buttons. 2. 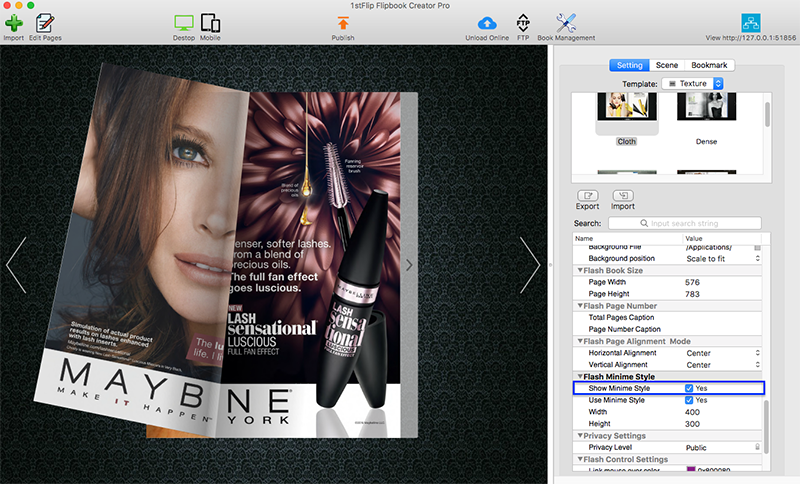 When you preserve the toolbar, all buttons on the flipbook toolbar can be enabled or disabled. 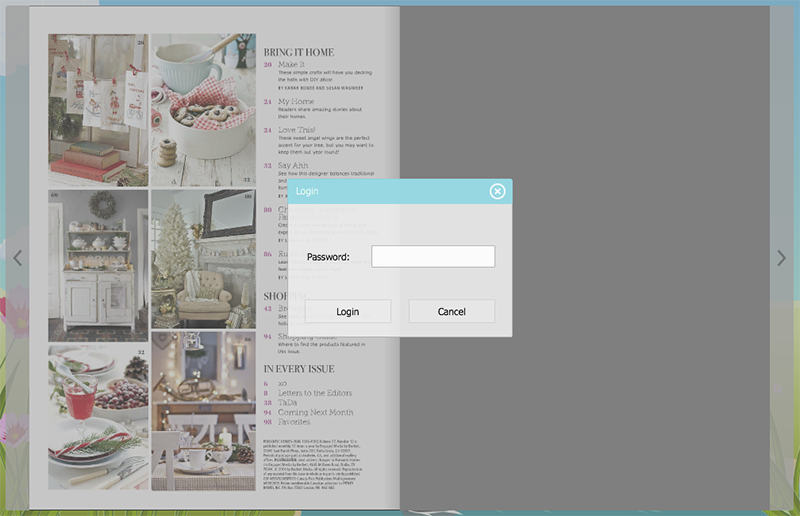 All flipbook pages: readers need to enter password to view your flipbook. 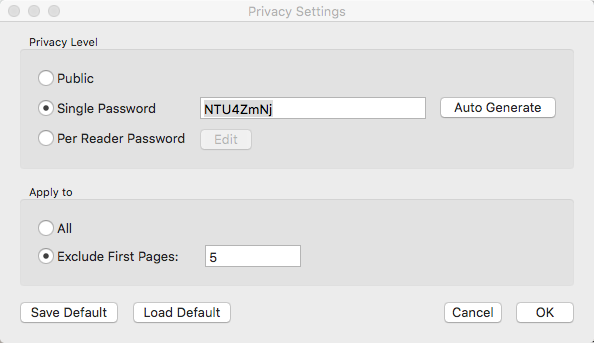 Exclude First N pages: readers can view the first N pages, they will be asked for password when they go on reading. 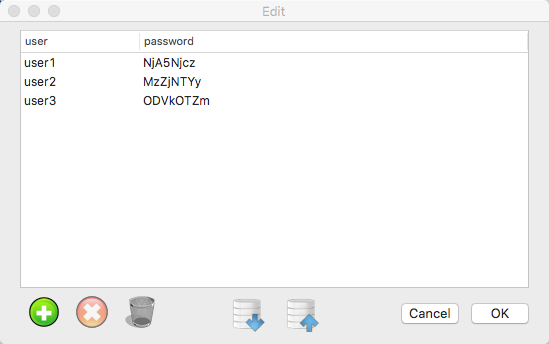 Enter your password or click Auto Generate. Choose Per Reader Password. Click Edit to open below window. Click below green button to auto generate username and password. Or double click relevant area to edit.